2. Capacious space can insure buildings flow demand and make pedestrians feel comfortable and calm. 1 The frame is aluminum alloy, high intensity, and good degree of finish. 2 Different decorative materials and colours are choosable, such as copper, stainless steel, copper, etc. 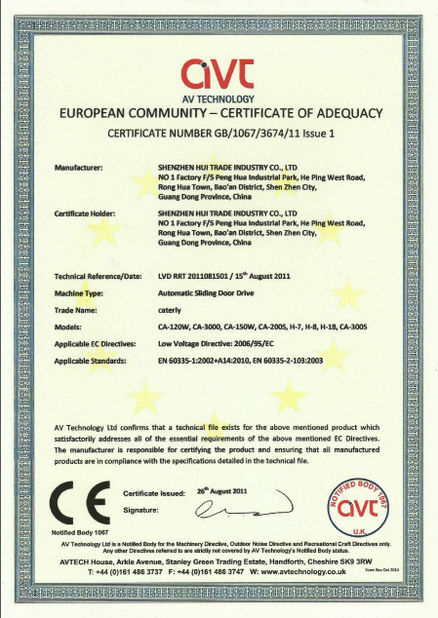 3 High strength of alluminum structure, clean and clear surface. 4 Laminated glass, tempered bending glass, flat tempered glass, special treated glass, etc. 5 Radial ceiling boards can be made of assigned materials, and the color comforms with the unit. 6 Canopy cover is made metal plates, and tight sealing treatment is applied. 7 Energy saving, quiet, stable and with logn life-span. 8 Digital control system, easy to operate. 9 Various detecting functions, such as collision avoidance, anti-clamp, etc. 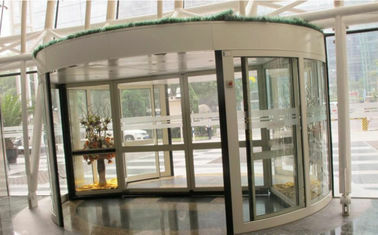 Particular brush sealing system: using static balance theory, make the tightness and antidusting of the door better. Windmill type revolving design: the revolving door keeps the same diversion with outside wind, making the consumed power to be lowest. 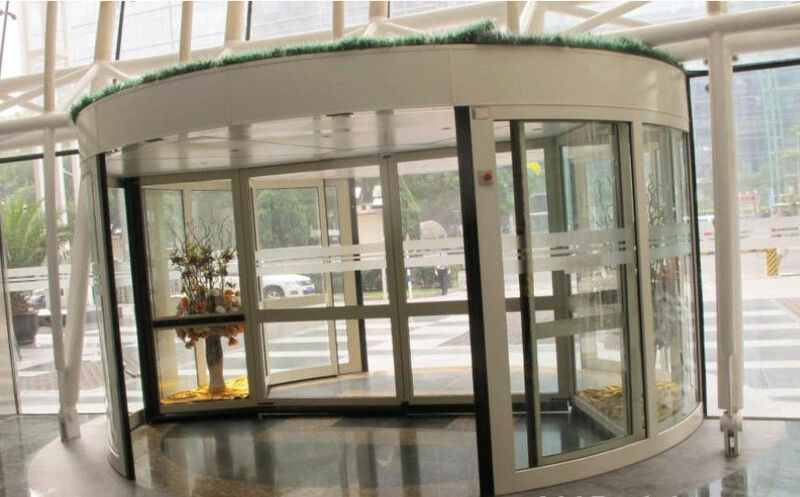 By using the programmable logic control and unique uuivertor tow & two redundancy design, make the stability of the automatic door improve greatly, extend trouble-free operation time drastically. 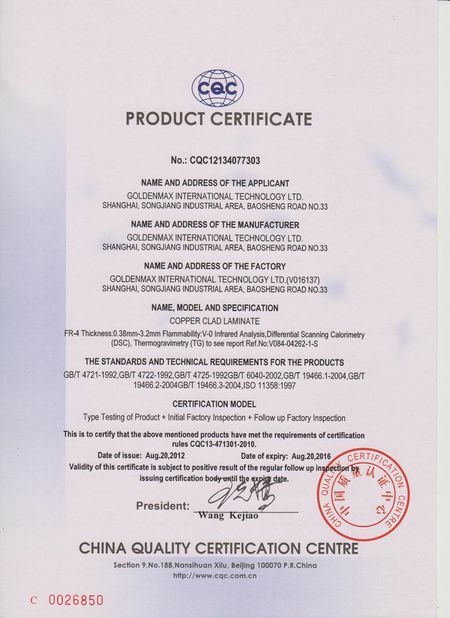 Anodic oxidation: adopting international first-class oxidation craft, it makes the thickness of the oxidation film reach 18 ~ 22um (international standard is 15um), keeps the surface color longer and more stable. hairline finished or mirror finished stainless steel: Advanced processing technology, first-class CNC processing equipment, make ORIENTAL surface decoration reach the international advanced level. Copperplate cladding: Adopting international first-class copper surface treatment technology, as well as all sorts of modeling design, makes the revolving door more noble and elegant. Color coating: Rich colors provide you more choices, create personalized space.